Acclaimed ASN syndicated staple The Flex Zone presents an unprecedented and action-packed three hour unique WWE WrestleMania XXXI themed extravaganza live on March 24 at 8pm ET, which highlights a surefire entertaining night of intriguing sports-entertainment debates surrounding the ever-divine Super Bowl of sports-entertainment, coupled with interactive WWE Universe access, and a compellingly in-depth preview of the WWE WrestleMania XXXI spectacle featuring a special guest appearances from "30 Years of WrestleMania" New York Times bestselling author,Brian Shields, two-time WWE Intercontinental Champion, Santino Marella and UFC Hall of Famer, Bellator MMA Star and WWE Legend"The World's Most Dangerous Man" Ken Shamrock. 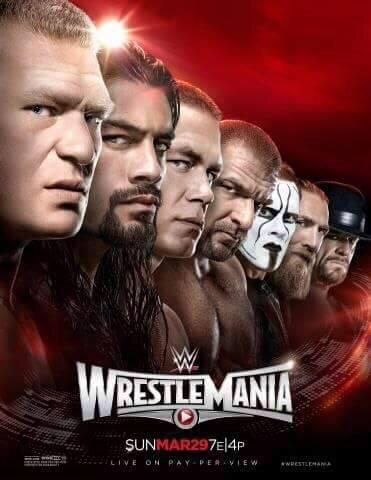 The Flex Zone WWE WrestleMania XXXI Special guarantees to firmly lay the smackdown with an electrifying presentation as the mighty road to the showcase of the immortals draws seemingly closer. The Flex Zone WWE WrestleMania XXXI Special celebrates the shows biggest episode in history in honor of the grandest stage of them all - WWE WrestleMania.